Check us out on Facebook and Google! Protection Event Guard Services and More. Find out why businesses are calling us a top security guard company in Michigan. 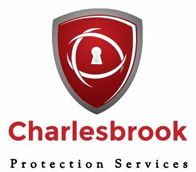 Protect your customers, employees and assets with the help of Charlesbrook Protection Services. Our company provides security guards for hire to protect your businesses, schools, institutions, events and more. 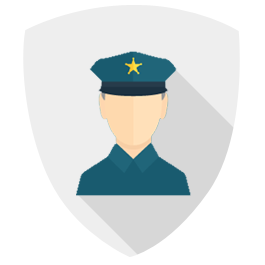 We have a broad range of security services that include experienced armed security guards, unarmed security guards, event guard staff, patrol services, retail loss prevention, undercover officers, custom security plans, and more. Security officers work in such diverse environments with a broad spectrum of duties and responsibilities. This is why we do not believe in a one size fits all approach, as this will not give you the top quality of service possible. We custom tailor our security services to meet your industry and facility's unique needs. This provides you with the security you need and helps you avoid paying for services that aren’t necessary. This is we are a top security company in Grand Rapids, Michigan. Click the Guard Services tab below to learn more about us and the benefits of hiring Charlesbrook Protection Services. Call for a cost free- no obligation quote. Feeling unsafe? Get the protective services of Charlesbrook Protection Services, a private security firm based in Grand Rapids, Michigan. Given the changes in safety concerns- businesses, schools and corporations have become increasingly aware of the need for security guards in order to protect their customers, employees, and property. This is where we come in. Proudly Serving Clients throughout the State of Michigan.